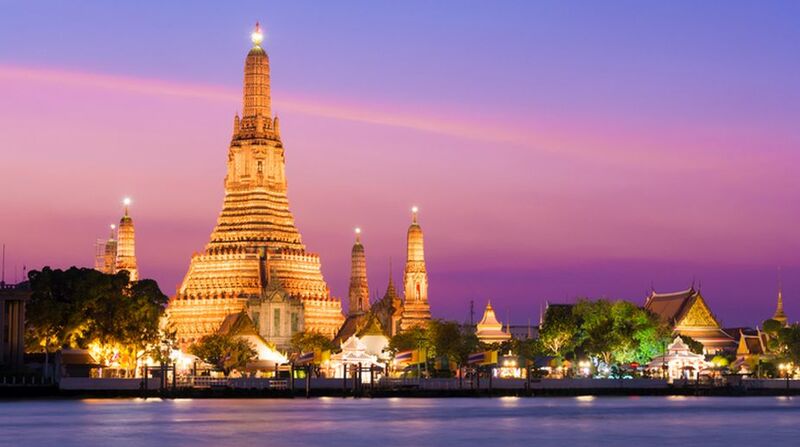 Home / Travel / Is Bangkok losing its chaotic charm? Only two popular tourist areas spared as the city sets out to clear sidewalk congestion. Food vendors will disappear from Bangkok's streets by the end of the year, if the Bangkok Metropolitan Administration (BMA) has its way. The BMA, which formulates and implements policies for Thailand's capital, launched a sidewalk clean-up operation this year to purge street stalls and reclaim the pavements for pedestrians. It has already banned illegal street vendors selling everything from clothes to food at the Siam Square and Pratunam shopping districts, where the sidewalk congestion slowed down pedestrians and caused traffic jams. Now the rest of the city is in its cross hairs, with the exception of Yaowarat in Chinatown and backpackers' haven Khao San Road. Acknowledging that tourists flock to these two areas for the street culture, including the food, Dr Vallop Suwandee, BMA chief adviser, told The Straits Times that street vendors there will get to stay but will have to follow zoning and schedule regulations. "There will be no relocation, they will be at the same place but in an orderly fashion, and they need to follow food sanitation rules," he said over the phone. "We will find other venues for them off the main streets," he said. "There have been a lot of complaints from pedestrians over this because of the traffic." Khao San is a favourite among low-budget travellers and is known for its bars and cheap pad thai (noodles). Yaowarat is popular for its seafood, served on makeshift tables that magically materialise along the street in the evenings. There are fears that in curbing its sidewalk mayhem, the city is losing its chaotic charm, and a part of its culture. "I definitely think it will be losing something very crucial if the vendors are taken away because that's one of the best parts of the city," said Mr Brendan O'Donnell, a tourist from Seattle. Last month, Bangkok was named the finest street food destination in the world by CNN for the second year running. "Food is the main reason why people come here," said Ms Carolina Wozniva, a tourist from Poland. "So why would you come here now if the food vendors are gone?" Aside from Siam Square and Pratunam, the authorities have also cleared the flea market under the Memorial Bridge and Pak Klong flower market nearby. "All the others, they need to be gone. They have to be cleared, there are no exceptions," Dr Vallop said of street vendors in other districts in Bangkok. "It is virtually impossible to clear all of Bangkok but it will also be absurd to return to the previous set-up." But BMA's beautification campaign is not for everyone. "I've been to cities like Singapore and Tokyo, they're really clean, really orderly. But my favourite thing about Bangkok is that it retains this kind of wild energy," Mr O'Donnell said. "It's not exactly clean and orderly like Tokyo, but it's still very comfortable and vibrant."